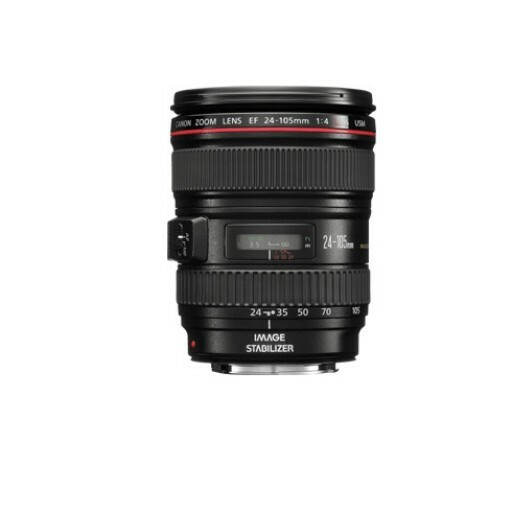 Canon Ef24-105mm f/4.0L Usm Lens L-series quality The EF 24-105mm f/4L IS USM incorporates Canon's highest standards of precision optics. The L-series is Canon's flagship professional lens range, combining outstanding image performance and ultimate operability with dust and moisture resistant construction. Lightweight Weighing just 670g, the EF 24-105mm f/4L IS USM offers 4.3x zoom in a lightweight body. Fixed aperture With no change in aperture over the full focal length range, photographers can set exposure at the widest aperture and zoom through to 105mm without slowing shutter speed.